As some of my readers may know, I'm going to be featured in a movie called "Science Moms". It all started when I joined forces with a group of awesome women to write a letter to Sarah Michelle Gellar because she was against GMOs. Readers of this blog may also know that I'm a super Buffy fan, so SMG's ad about GMO labeling was like a stake through my heart. HAHAHA!!! GET IT?? BECAUSE BUFFY??? The letter was also written to a bunch of other people who were in the ad, but frankly, when I was writing/editing, I was doing it for Buffy/Sarah. Once we had written it, we sent it to some other awesome women who signed onto it and gave suggestions/edits. After that, we started getting requests from a bunch of people who wanted to sign it, so we just left it open so anyone could sign on. One of the readers of the letter was an awesome woman named Natalie Newell. She thought that our story was pretty unique (I tend to agree :) ). She and her husband decided to make a movie about us, and gave us the name "Science Moms", which is infinitely better than #Moms4GMOs!! She took it upon herself to launch a Kickstarter for funding. It got fully funded and she traveled to our homes to do filming. They're currently working on final editing and it will premiere in October. It stars Kavin Senapathy, Alison Bernstein (Mommy PhD), Anastasia Bodnar, Jenny Splitter, and myself. Since the movie is funded by normal people, we don't have a PR department or anything. So last week, we snagged a twitter account and have just started using it. We "premiered" the account to promote a letter we published on Medium. Immediately, the shill-cusations started coming in. It seems that it is not sufficient that the movie was funded independently. It is not sufficient that Natalie is not paid for by the nebulous "big Ag". It is not sufficient that none of us receive funding from Monsanto/Syngenta/Dow Agro/Dupont. One dude seriously wanted to know if the people who chipped in for the Kickstarter worked for biotech. .Just because there was a Kickstarter doesn't mean it wasn't largely funded indirectly by the biotech industry and its allies. As an infant and toddler, my dad worked for Corning. Corning makes labware. Monsanto probably buys labware, possibly from Corning. Therefore, I am a shill. As a child and youth, my dad sold computers. Monsanto uses computers. Therefore, I am a shill. As an undergraduate, I got a full scholarship. I have no idea where the scholarship money came from, but a lot of the buildings on my campus had industry names, so I'm assuming that there were industry donations there, particularly the Labatt brewing company. Monsanto employees in Canada probably drink Labatt's. Therefore, I am a shill. As a graduate student, I received provincial and federal scholarships for all the years of my PhD. That money comes from taxes. Monsanto pays taxes. Therefore, I am a shill. During my PhD years, my husband worked for McDonald's for a few years, before he got laid off due to restructuring. McDonald's buys food from farmers. Farmers buy seeds, probably from Monsanto. Therefore, I am a shill. Since my PhD ended, I have spent my time working in companies that develop DNA sequencing instruments and assays, and have changed jobs 3x since the inception of this blog. Most of this time has been spent developing assays for targeted analysis of the human genome. Plants have genomes. Monsanto probably sequences DNA from plants. Therefore, I am a shill. In my 401K plan, we have invested in the total stock market (i.e all 4000+ stocks on the market). Monsanto is publicly traded on the stock market. Therefore, I am a shill. Moral of this tale: if someone wants to find a COI where there's no misbehaviour or misconduct, then they should check their biases. Because odds are that if you look into that person's background, you can also play 6 degrees of separation from Monsanto. I know. It's been a while... Things are a bit rough. I've written a few pieces over on Medium, if you want to check them out. 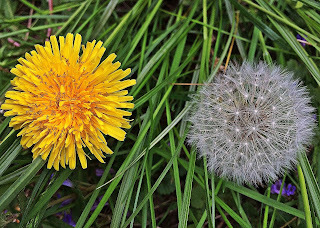 So, in this blog post, I wanted to write about "superweeds", what they are, how they're related to GMOs, and some misconceptions about them. The first thing to know is that "superweed" is not a scientific term. Searching through the NIH's database of scientific publications, I only found one paper with the term "superweed", and it's a commentary, not a research article. Yet "superweed" is a term used ALL the time on websites that lobby against GMOs, like this article entitled "Superweeds: A Frightening Reality" written by the "Just Label It" campaign. My understanding of the term and its use is that "superweed" describes weeds that don't get killed by herbicides. They don't grow faster or stronger than other weeds. They arise due to selective pressure from the herbicide. Spouse, don't freak out. I'm going to explain this to you in detail, using your favoritest of analogies: zombies. 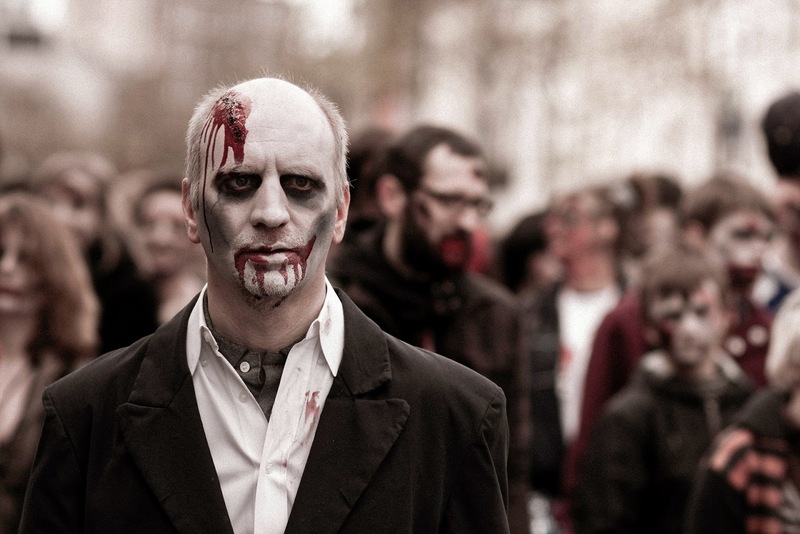 Imagine that the zombie apocalypse takes places tomorrow and is caused by a virus. Imagine that 1% of the human population had some sort of mutation in their DNA that made them resistant to the virus. That means that only 1% of the human population would survive. It also means that 100% of surviving humans are resistant to the zombie virus. The surviving humans would mate with one another and from that point onward, all humans would have the mutation that makes them resistant to the zombie virus (assuming, of course, that humans wouldn't mate with zombies... That would make a crazy scifi movie...). You could say that the surviving humans are "superhumans". But did the zombie virus cause the mutation? No, it did not. The superhumans were there all along. The zombie virus placed pressure on the system, and the mutant humans were "selected" because they lived. A mutation that's shared by 1% of humans is a relatively large number of people. Why would so many humans have it? Well, maybe it makes humans resist other viruses too and gives them some sort of advantage. Or maybe at some point throughout the course of our evolution, there was a similar virus that wiped out a good chunk of our population, and our ancestors (human or not) survived because of the mutation. But since there hasn't been a zombie virus since that ancient plague, we haven't really needed that mutation. With no selective pressure, it may be why most humans no longer have the mutation. But let's assume that there has never been any pressure for this mutation to remain in our population. In that case, very, very, very few humans, if any at all, would have the mutation making them resistant to the zombie virus. It would be pure luck if a human had that particular mutation, since mutations happen randomly in our DNA.Given how our species reproduces, there would need to be two humans who won this genetic lottery at the same time in history and in close proximity of one another, so that they could mate and have superhuman offspring. Otherwise, humans would get wiped out. Pretty unlikely, right? Still, the zombie virus did not cause the mutation. Now, if the zombie apocalypse were part of a plan of some evil mastermind, the villain's best chance of success would be to release two viruses into the environment at the same time: let's say a zombie virus and a flesh-eating virus. The odds of a single individual or population being resistant to both viruses would be extremely, extremely, rare. So, that's probably as far as I can take the zombie apocalypse analogy. Weeds that are resistant to herbicides are bound to arise, even with the best of herbicides. The same is true of antibiotic resistant bacteria. Given enough time, they'll be found. If a herbicide is well designed, no existing weeds will be resistant to it (i.e, in our analogy, a good herbicide wouldn't leave 1% of weeds behind). This is tricky, because there are so many different weeds to combat. But, the herbicides don't cause the resistance. Neither do antibiotics. Resistant bugs and resistant weeds win the genetic lottery and thrive. Since bacteria don't need to mate, it's even easier for an antibiotic resistant bug to spread. Weeds that evolve to become resistant to herbicides have existed WAY before GMOs, because we've been using herbicides in agriculture before GMOs were commercialized. There are even weeds that have evolved to look like crops, so that they can evade hand-weeding. It is for these reasons that farmers are encouraged to practice good management to control weeds. This means that they're encouraged to rotate crops, to use herbicides that impact the plant in different ways, and to use mechanical methods to kill weeds, too. And although we may not like it, using two different herbicides makes sense and ag companies are starting to introduce GMOs with the ability to resist two herbicides. The odds of getting a weed that is resistant to both herbicides is much less, but again, it's only a matter of time before one arises. Glyphosate has been a pretty good herbicide in terms of the development of herbicide resistant weeds. But because it was used on so many acres of land, the odds of finding a weed that "won the genetic lottery" increased. Consequently, glyphosate-resistant weeds have been identified in many areas and are a problem for some farmers. The term "superweed", when used in the context of the GMO debate, evokes imagery of a weed that's about to take over the planet. As I highlighted at the beginning of this piece, you'll see references to superweeds all over anti-GMO websites. Herbicide resistant weeds are a problem in agriculture, but it's far from being unique to GMO crops. So ask yourself why such language is being used, and be aware if its because the website in question is trying to manipulate your emotions. For more on this topic, I encourage you to read this 2-page summary on superweeds or to look at this website. And follow @wyoweeds and @LynnSosnoskie on twitter (can't stress this enough).